The latest issue of The Walter de la Mare Society Magazine (Number 16) includes several treats for enthusiasts of this most subtle and enigmatic of writers in the supernatural fiction field. Giles de la Mare introduces 'The Idealists', a previously unpublished continuation from the original manuscript of Walter de la Mare's story 'A Beginning'. He explains that the piece (about six pages long in the magazine) was probably intended to be included in the collection A Beginning and Other Stories (1955) but in the end not used. He adds that it "can more or less stand up on its own" but only makes full sense if you have read 'A Beginning'. The piece, as so often in de la Mare, achieves a finely shaded mingling of interior and exterior landscapes, in which the narrator's keen observation of natural forces reflects also their own reveries and emotions: "Wind and rain, and my heart is lost under the low grey clouds, when the trees hang their heads and the water calls in the hollows. I grow dark and sullen and tomorrow seems but the ashes of a burned out hope...It is to you I turn as one in a far country turns towards home". The magazine also includes three stanzas omitted at the proof stage from de la Mare's celebrated poem 'The Traveller' (1945), and a letter from T.S. Eliot about the poem, a transcript of a spoken introduction de la Mare made to a set of 78rpm records, Some Recent English Poetry (1946), and a previously unpublished letter by de la Mare. 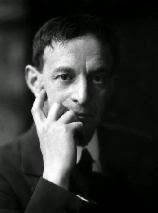 In addition to this rare and original material by de la Mare, the 48pp magazine includes studies of his work: a survey of 'The Concept of Time in Walter de la Mare's Work' by Giles de la Mare; and a companion essay by Joe Griffiths on 'Time's Winged Chariot'; 'Alice on Wheels' by Richard Lowndes, which looks at de la Mare's links with Lewis Carroll; and my own essay 'Whisperings and Mumblings', an exploration of 'Seaton's Aunt'. E.H. Visiak (1878-1972) was a dedicated man-of-letters who is known now mainly for three things. He was an early champion of the work of David Lindsay, whom he befriended, and wrote about him (with Colin Wilson and J.B. Pick) in The Strange Genius of David Lindsay (1970). He was the author of a seafaring fantasy, Medusa (1929), frequently reprinted, and a few fantastical short stories. And he was also an eminent Milton scholar and editor. However, earlier in his literary career, Visiak was known, if at all, as a poet. 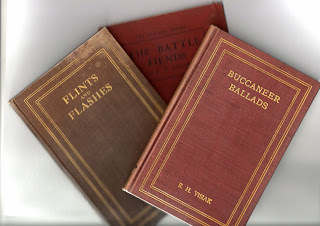 He published five volumes of verse: Buccaneer Ballads (1910, with an introduction by John Masefield); Flints and Flashes (1911); The Phantom Ship (1912); The Battle Fiends (1916); and Brief Poems (1919). As most of these titles suggest, Visiak often wrote swashbuckling pieces about pirates and the high seas, and these and other verses also had a gleefully macabre aspect to them. Visiak was a conscientious objector during the Great War, and his views are expressed in the latter two of these poetry volumes. When a worthy on a tribunal considering his case for exemption from military service queried why he wrote about bloodthirsty naval fights if he were really a pacifist, Visiak pointed out that Milton wrote about demons but was hardly a diabolist. The delight in Visiak’s pirate verses and grim themes is expressed in a poetic tribute to him, ‘The Verses of Visiak’ by Ernest Marriott, which has perhaps not been noticed before. This was published in the modernist magazine The Egoist: An Individualist Review, Vol 2 No 12, December 1st, 1915, edited by Harriet Shaw Weaver. 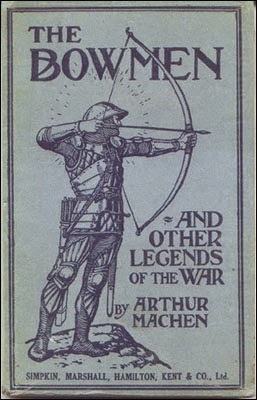 The author was probably the Manchester librarian and essayist Ernest Marriott (1882-1918), whose life and work has been commemorated in a monograph, ‘A Tricksy Sprite’ by Bryan Haworth (with Stewart Platts) published by the city’s Portico Library. This records that “Marriott was only twenty when appointed Librarian at the Portico in March 1903” and worked there until 1912. Ernest Marriott was an artist, who illustrated an edition of stories from Don Quixote and wrote an early study of the art of Jack B. Yeats. He also wrote travel essays, published in Manchester journals, on wanderings in the Low Countries. After he left the Library, he joined the theatre director Gordon Craig in a tour of Europe, helping to design sets, and writing about some of their performances. The Portico monograph describes how Marriott returned to England at the outbreak of the Great War. He became a quartermaster at the Brabyns Military Hospital, near Marple, Cheshire, where he also taught and gave talks on art to the troops. He died of heart failure on March 8, 1918. E.H. Visiak lived in Manchester for a while when he was a clerk in the Indo-European Telegraph Company, and seems to have been there at more or less the same period that Marriott was the Librarian at the Portico. He would certainly have mingled in the literary circles in the city, as he was already a highly bookish young man trying to write. The likelihood is, therefore, that the two got to know each other and that ‘The Verses of Visiak’ is a homage to a friend. Sources show that Marriott had a lively wit and imagination, and enjoyed irreverent pastiche, and this piece is another charming example of that. Ernest Marriott also contributed two more poems to The Egoist (Vol 3 No 10, October 1916), both with a late-decadent flavour: ‘Slain Roses’ and ‘Tædium Vitæ’, both somewhat in the vitiated style of Ernest Dowson or Arthur Symons. His poems in the magazine have not been noticed before, and, though perhaps somewhat tongue-in-cheek, the work has a wistful piquancy which adds to our picture of this spirited individual. That burn under lunatic stars. Of pirates and gashed old tars. And smirk like a foolish clown. To the lamp with my neckerchief. By the silver diagonal rain.